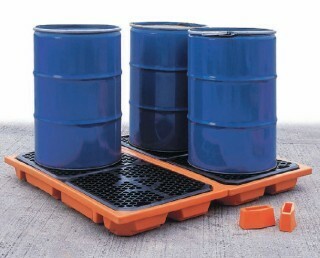 BUDECO offers drainage baskets, pallet trays and working floors under 1, 2, 4 and 8 barrels, as well as IBC DDPL 1000 l pallets in single and double versions. They protect against the leakage of liquids that are hazardous to the environment and the workplace. We deliver all over Poland!